China’s men’s basketball team managed to finish fifth at the FIBA Asian Championships, which concluded Sunday. China defeated Qatar in the fifth-place game, but had earlier been beaten by Chinese Taipei (Taiwan) in the quarterfinals. Taiwan was very ecstatic over this victory, being the first ever over China in men’s basketball, but were quickly brought down to earth by losing to Iran in the semifinals and then trounced by archrival in everything South Korea in the third-place game. Taiwan had a good tournament in general, but their poor ending kind of mirrored their showing at the World Baseball Classic earlier this year, when they did well to advance to the knockout stage but lost their last three games. I don’t know if it’s a case of freezing in the big time or just not having the guts or ability to overcome tough foes. One of Taiwan’s best players in the FIBA tournament was a naturalized black American, who only got his Taiwanese citizenship last month. For China’s basketball team, who were the defending Asian champions but had a terrible showing at the 2012 Olympics, I really hope they don’t become like the men’s football team and go through a long period of futility. The top three teams in this tournament automatically qualify for next year’s international basketball championship, so China is out of that. Moving on to football, the 2022 World Cup, which was awarded to Qatar, might be in danger of moving to winter. It’s always been played in the summer, such as June and July, but due to Qatar’s hot summers, where temperatures can go up to 50 degrees Celsius, some FIFA officials are seriously considering changing the date to January, which would be good for the health of the players and fans. But if so, I think Qatar should not have been awarded the World Cup in the first place, and a new vote should be held. Qatar won the right to host the 2022 tournament over the likes of Australia, South Korea, and the US. On paper it was momentous because Qatar would be the first Middle Eastern and Islamic nation to host the World Cup, but in reality I think it was a farce. Qatar has little football or sporting heritage and their bid was full of superficial and unrealistic aspects such as air-conditioned stadiums which could supposedly even be dismantled and donated to poorer countries. It’s obvious oil wealth was a big reason they were successful, such as their hiring big names in football to lobby for them, but besides that, nothing really. Anyways, whenever and wherever the 2022 World Cup ends up being held, I just want China to be in it. It seems good results can never last these days when it comes to Chinese men’s teams. Fresh off of the football team’s surprisingly good performance at last month’s East Asian tournament, China’s basketball team was knocked out of the FIBA Asian championships by none other than Chinese Taipei (Taiwan). It’s a first for Taiwan, who reached the semis and will face Iran, while China goes back home in tears. China’s coach offered a vague message about hope, and I really hope China gets it act together for the next Olympics, as they will not be going to the next world championships. This follows on China’s dismal performance in the 2012 London Olympic Games, when they finished bottom of their group in the first round. Yi Jianlian, China’s best player and a former NBA first-round draft pick, was injured in the first round but came back for the second round and quarterfinal. In the Global Times article (the first link above), several Chinese expressed anger and shock at the basketball loss, which should be a good kick in the backside for the coaches, players, and the people who run the basketball program. 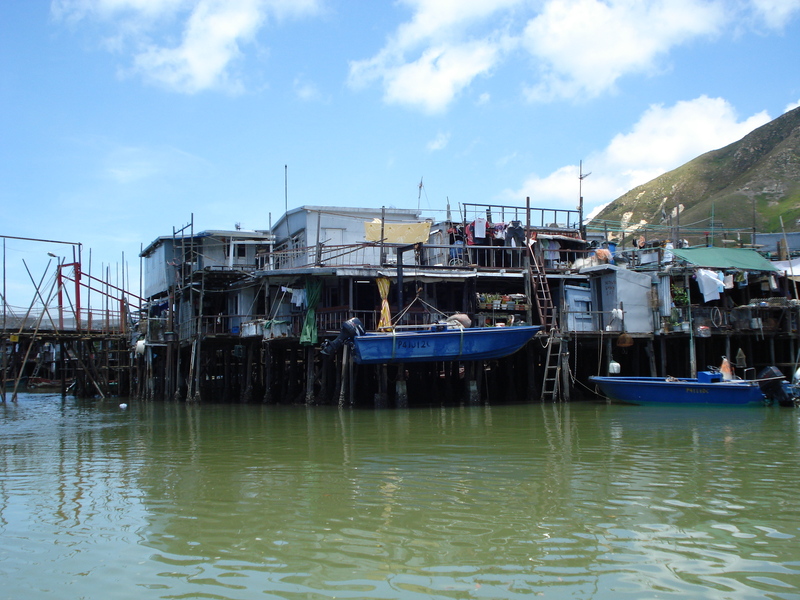 Meanwhile, Hong Kong’s unique Tai O fishing village faces a big challenge in trying to maintain its heritage while undergoing development. 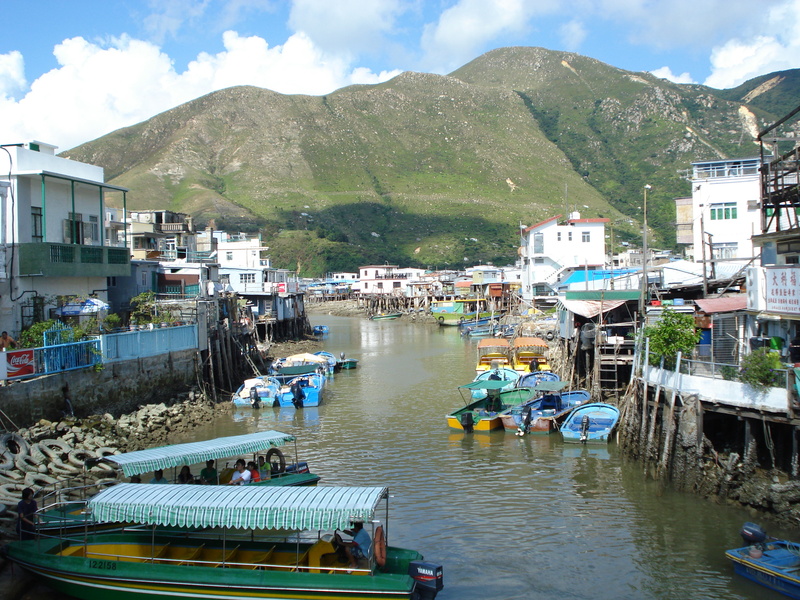 This village features stilt houses and is in an isolated area on Lantau Island, where the airport and the cable car are on. 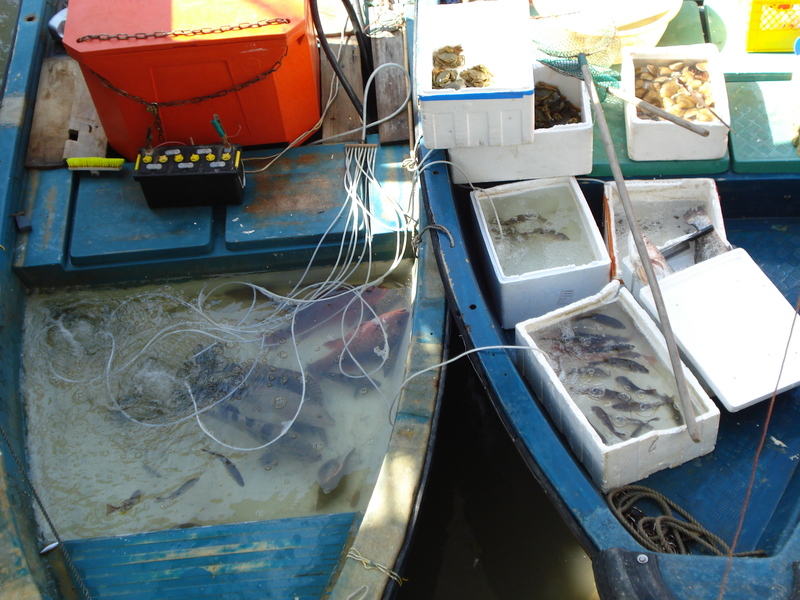 You can eat fresh seafood, buy salted seafood, walk around and enjoy the mangrove swamps and scenery, and even go on boat rides to see the Chinese white dolphin, which is actually pink. I went there back in 2008 and it was quite decent. There were some visitors, but it wasn’t overflowing and the village was quite old, even a bit shoddy, though it gives it some character. I’ve seen it referred to as “Venice in the East” but that’s a little fanciful. 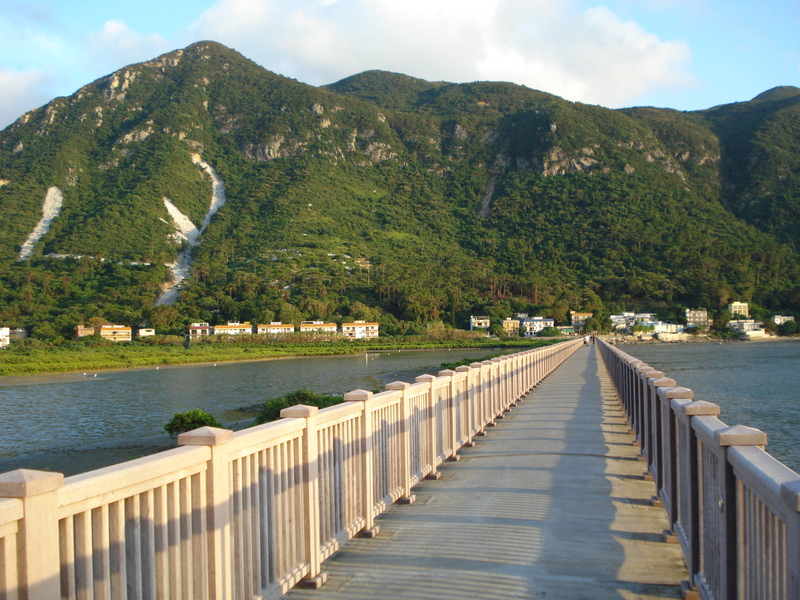 It’s definitely a unique and scenic place in Hong Kong, and another striking example of how Hong Kong is more than just skyscrapers and shopping. The best photo I took of the dolphins. 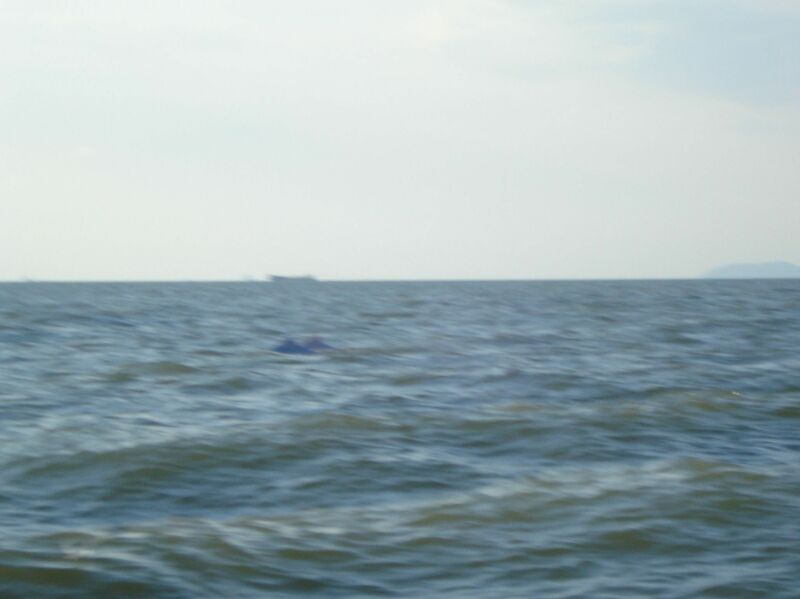 Apologies for the poor quality; it was very hard to focus because of the dolphins’ and the boat’s movement, plus my eyes were actually on the dolphins. Chinese influence is spreading across the world, and contrary to what some say, it’s not all negative and in many cases, welcomed and perceived with a sense of optimism. In China’s Himalayan neighbor Nepal, more people are learning Chinese and China is becoming a more important neighbor, which the article tries to give a negative angle by highlighting that this worries India. In Uganda in East Africa, a former government minister runs a community library to help inform people about China, while speaking about the ways Chinese investment is helping her country, such as in the fishing and aquafarming industries. It’s been five years since the massive 2008 earthquake in Sichuan (with a bad one having struck again just a few weeks ago), and this BBC feature shows just how destructive it was. It was one of the costliest earthquakes and forced the most people in history to be displaced. This is a nice piece about two budding teen basketball giants, one from China, and one from India! It’d be easy to want to guess that this Chinese guy can be the next Yao Ming, but it’s premature and unfair to do that. Also, there’ve been other big Chinese ballers like Wang Zhizhi and Yi Jianlian who’ve played in the NBA and had modest careers. Yao Ming was special and his solitary success among Chinese NBA players proves that size by itself is no guarantee. I wish this kid the best though he better bulk up, like his Indian counterpart. Take a look and listen of the punk music scene in Beijing at the Guardian. A bunch of youngsters talk about why punk is so appealing, sounding similar to other youths around the world living with a lot of stress, angst and rebellion. Beijing is one of the main music scenes in China, and it’s encouraging to see different types of music growing there. Moving from music to art, this article looks at how Chinese artists are trying to boost the visibility and creation of arts. There’s a big hunger for good art, no doubt, but modern Chinese art is still not very famous or popular. With time it’ll change and we’ll all know more modern Chinese painters, sculptors, dancers and so on. One very famous Chinese artist who many of us do know, recently made a very reasonable personal appeal. Leave me alone, and just let me write, said Mo Yan. His views may disappoint some people, but he’s blunt and honest. He’s not pretending to be a savior of China, much less humanity, as he’s chosen to focus what he can influence, which is his writing. Amazing pics and an even more amazing discovery. This is the remnants of a cityin a lake in Zhejiang province. It’s a fascinating sight, though it seems it was already known when it was flooded (the lake was artificially created from the construction of a dam). It seems a shame that more wasn’t done to preserve its ancient structures and artifacts when it was intact at that time. 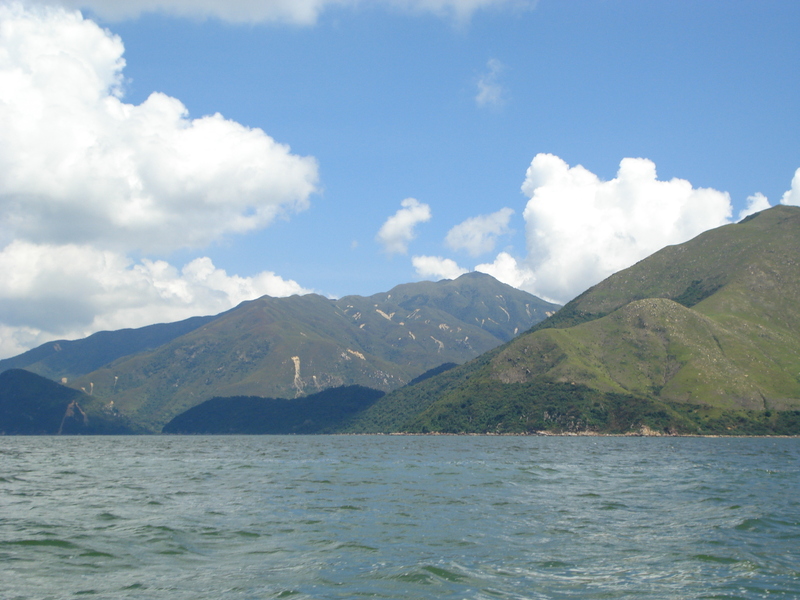 Cantonese cuisine is widely known, but it’s not all just dim sum and fried rice, as this article about Guangzhou’s Lychee Bay illustrates. Yet even with a Cantonese heritage, I admit I don’t know about some of these foods but I’ll make sure to try some in future. The 10 best Chinese cities for expats are headed by Shanghai, no surprise there. Beijing is number two and the rest are all major prosperous cities as well, though Tianjin is a bit of a surprise. This historic Hangzhou scissors company has been in existence for over 350 years and is still going strong. I think my grandmother even owned a pair, with an all-iron frame, knife-shaped blades, and curved handles. It’s the start of day 1o of the Olympics and China leads the medals table in both golds and total, just ahead of the USA. China’s had a very good Games so far, especially in swimming which they haven’t traditionally dominated. China’s swimming success was a huge improvement from previous Games, including in Beijing where the men only won one medal. Sun Yang lived up to expectations, winning the 1500 m freestyle to finish with 4 medals, 2 golds, while Ye Shiwen also picked up 2 golds. In badminton, the great Lin Dan won the single’s title again, repeating his success in 2008. Unfortunately China failed in one major sport, and that is men’s basketball (the women have reached the first knockout round though they just lost heavily to the USA). Despite having Yi Jianlian and Wang Zhizhi (remember him, former Maverick who played in the NBA before Yao Ming? ), China lost all their group games so far and have already been eliminated, with one group game remaining. China are the Asian champions but they’ve been outclassed in all their games, losing by 20 points to Australia and 39 to Brazil. Everyone knows there’s no Yao, but still, how did it come to this point? It’s the system, says Yao Ming and NiuBBall.com. Anyone who’s a fan of Chinese football will not find this surprising. Basketball players in China apparently are identified at a young age from their build and tests to determine their future height, and then trained in state academies where they play basketball over and over without time for much else, including a proper education. While this may work for other sports like swimming or gymnastics or diving, which mainly comprise of repetitive actions, drilling all the time and practicing nonstop can’t work for basketball and football. Furthermore it’s ridiculous to select players as young kids. Change, as well as more young talent, seems to be coming to the sport’s youth setup in China so hopefully 2016 will be better. This is just a small sports update about China- there was good news in men’s basketball as China won the Asian Championship on home soil in Wuhan. China will thus be at the 2012 Olympics as Asia’s basketball champions, their first since 2005 but 15th overall. I think this is their first major championships without Yao Ming, who retired earlier this year, but with Yi Jianlian leading the way, they went all the way to the final where China overcame Jordan. Yi plays in the NBA for the Washington Wizards and was a first-round draft pick. His NBA career hasn’t quite reached the level expected of his high draft status, but at least in the international arena, he’s playing great. Meanwhile in the top Chinese football league CSL (Chinese Super League), Guangzhou Evergrande clinched the title with four games still to play, having led the league from basically the start of the season. Despite being a newly promoted team, they dominated thanks to a roster loaded with local and foreign talent, thanks mainly to a wealthy owner, a property developer. Among their star players are Chinese international players Zheng Zhi, Gao Lin, and Sun Xiang, and Argentinian Dario Conca, who won numerous league MVP awards playing for the top Brazilian league and was signed at an astoundingly high fee in midseason. The real test for Guangzhou will be the Asian Champions League next year. Givne how dominant they were this season in China, let’s hope they transfer that form to Asia. Gao Lin certainly hopes too. China managed to thrash Laos in their World Cup qualifying opening match, but not before giving its fans reason for heart attacks as Laos went 2-0 up early on. China scored 7 unanswered goals to whip Laos eventually, but just allowing 2 goals from a nation ranked 140-something and with a handful of professionals is truly atrocious. China should advance because there’s no way Laos can score 5 unanswered goals in the return leg but knowing the boys in red, you can’t ever get your hopes too low. When China advances and plays the Japans or Koreas (both of whom were in the last World Cup), or fierce rivals, Kuwait, let’s hope they play much better. Meanwhile, sticking with the China football theme, I came across (I came across it courtesy of Deadspin) this last week. From the title, I thought it was going to be one of those hyperbolic China articles, with a Western writer focusing on one aspect of China and being blown out of his mind. Turns out, I was wrong because the article is a good one which looks at some significant reasons for China’s recent footballing failures. The writer then turns his focus to some hopeful improvements such as the CFA looking abroad to overhaul their youth training system. Finally, the domestic league is described in much more hopeful terms as we learn how Guangdong is the hotbed of Chinese football, which I had no idea (for me, the Northeast – Dalian, Qingdao, Shenyang etc seemed to be the more probable venue for football passion). While it’s nice to see Guangzhou be the giants of the league (they are the current leaders and are undefeated), they are kind of like Manchester City or Chelsea, as they are owned by a wealthy property group, hence their name- Guangzhou Evergrande. Finally, sticking with the China sports theme, here’s a GQ article on Stephon Marbury who has been the biggest star of the CBA since he came in 2 years ago. Things took a dive after a bright start and he had to leave smoky Taiyuan, which the article is mostly about his time there. He was picked up by Foshan and at the end of the article, he seems to be upbeat. I don’t have a lot of sympathy for rich American athletes, especially Marbury, who forced his way out of the Timberwolves seemingly out of jealousy over Kevin Garnett’s giant salary and then bounced around including an ignonimous stint for the New York Knicks. Still, the article makes him out to be a bit more human as well as a budding business mogul, if not a little delusional. Still, let’s hope he continues his success.